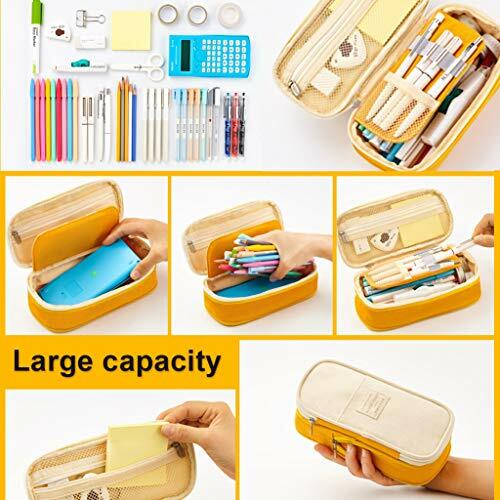 【Large Storage】:Large storage capacity allowing up to 50 pens/pencils and other gadgets. 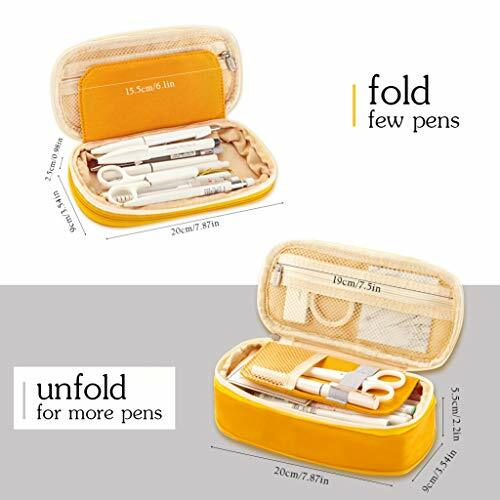 【Deformable】:1.Fold it for few pens.2.Unfold it for more pens. 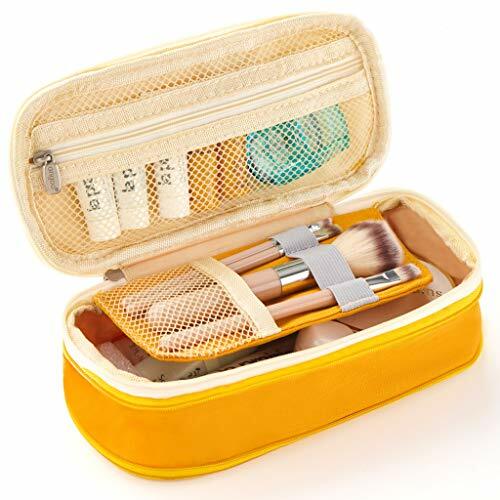 【High Quality】:100% brand new canvas, sturdy material with a strong zipper, durable, quality guaranteed. 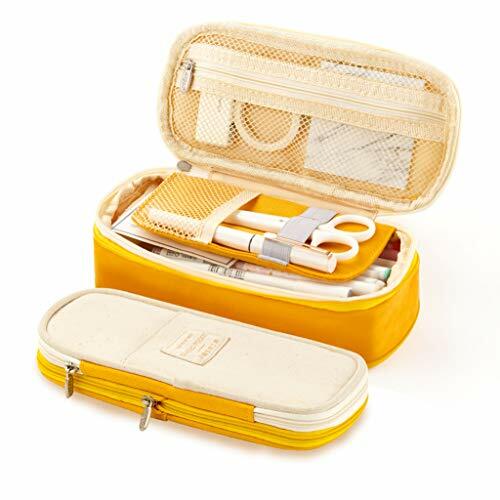 【Original Design】:Designed and perfected over 10 years, we hope you like this original product of our company. 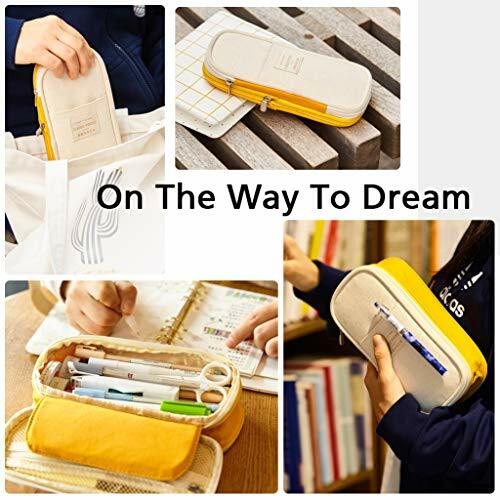 【Multi-Function】:It's not only a pencil case, but also can be used for other purposes such as travel wallet, travel bag,travel case,makeup bag. 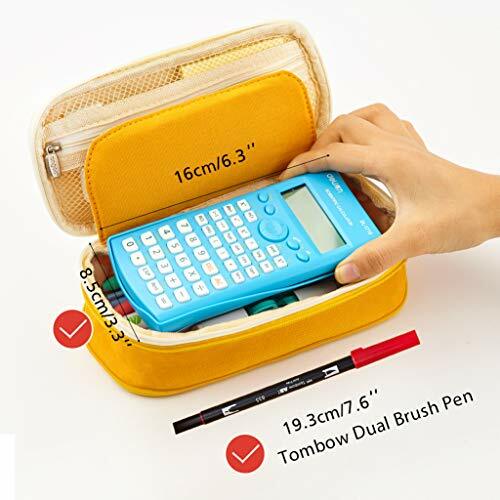 Attention:Unit is sold as single Pencil Case. 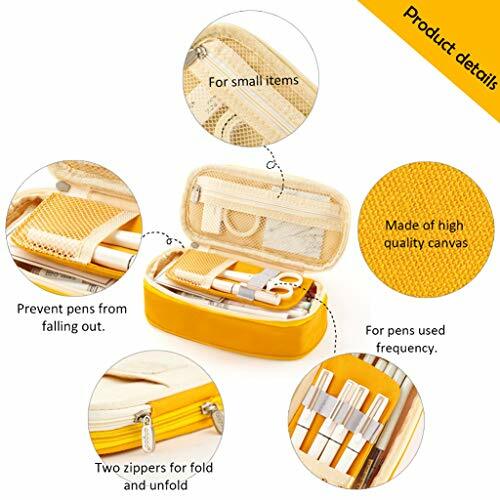 Pens and pencils (pictured) are not included.